In the ever-changing world of mountain town real estate, Park City, Utah, is holding its own. There’s no question that the quality of life in mountain towns is a draw to many. This is especially true of Park City, with its proximity to the international airport in Salt Lake City and several world-class ski resorts just minutes away. With a major build-out master plan for The Canyons in the works, alongside several other developments around Park City and the I-80 corridor, it appears that Summit County is in the midst of a building boom. Western Home Journal (WHJ) asked a few of Park City’s top realtors to discuss the changes in the Park City real estate market and what the future has in store for buyers and sellers. 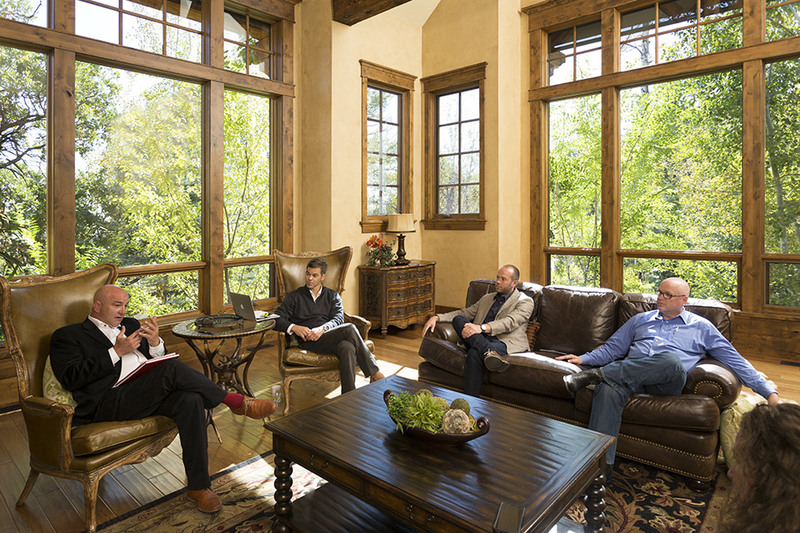 The panel of experts gathered at 2351 W Red Pine Court in the Canyons Village, a beautiful ski-in-ski-out home designed by John Shirley. Marcus Wood and Rob Wells with Engel & Völkers Park City, Greg Miner with Utah Luxury Real Estate Group and Keller Williams, and Mark Rodeheaver with Berkshire Hathaway Utah joined WHJ for a real estate round table discussion to shine some light on what’s happening in Park City and beyond. Read on for insider knowledge about what just might be your next best real estate investment. 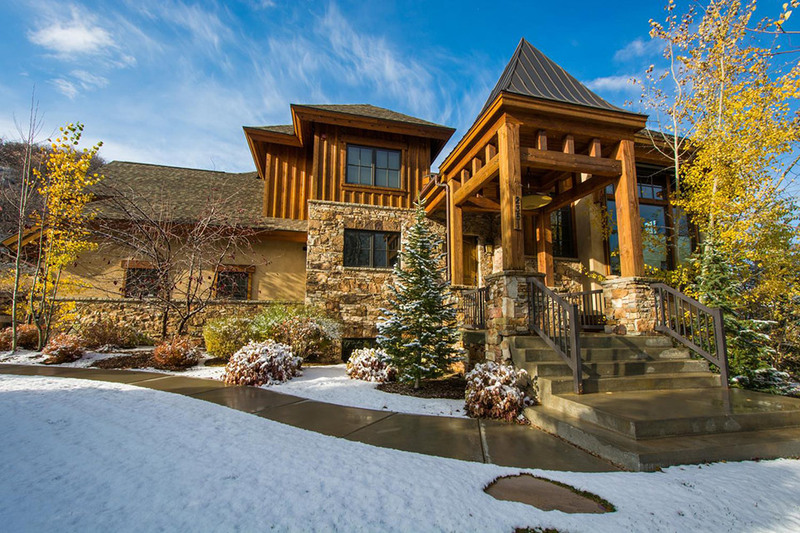 THIS EXQUISITE 8,379-SQUARE-FOOT, SINGLE-FAMILY HOME LOCATED ON 2351 W RED PINE COURT IN THE CANYONS VILLAGE IN PARK CITY IS A SKI-IN AND SKI-OUT HOME DESIGNED BY JOHN SHIRLEY. THIS MODERN MOUNTAIN HOME FEATURES THREE FLOORS WITH FIVE BEDROOMS, SEVEN BATHROOMS, TWO FAMILY ROOMS, A LARGE DEN, A PLUSH MOVIE THEATER, A FULL OFFICE, FORMAL DINING ROOM, AND COZY BREAKFAST NOOK. IN ADDITION, THERE ARE TWO LAUNDRY ROOMS, A POOL TABLE ROOM, FOUR FIREPLACES, AND A SPACIOUS TWO-CAR GARAGE. LARGE WINDOWS WITH EXCELLENT MOUNTAIN VIEWS EXIST THROUGHOUT THE HOME, PROVIDING PLENTIFUL NATURAL LIGHT. THE LISTING PRICE IS $4,450,000. WHJ: WHAT HAS BEEN THE MOST SIGNIFICANT CHANGE IN THE PARK CITY REAL ESTATE MARKET IN THE PAST YEAR? MARCUS WOOD (MW): It would be Park City Mountain and the Canyons Village area. There’s a lot of development and energy being put into this area. Vail Resorts has pumped over $50 million into resort improvements, and the connection of Park City Mountain and The Canyons has created the largest ski resort in America. People have noticed and are choosing to make Park City home. ROB WELLS (RW): I agree. The connection of the Park City Mountain Resort and The Canyons and the master plan for the base village to be located at The Canyons are really significant changes and present exciting development opportunities, including new condo and single-family home developments in Canyons Village. GREG MINER (GM): There is definitely a lot in store for The Canyons. In the next two years or more, the development will experience significant growth. The golf course is now finished and there’s at least one million vertical feet in development there. The Canyons is finally breaking through after 35 years of struggling to be something. Beyond The Canyons, the area around Park City presents unique development opportunities because there remains substantial square footage to build out inside the I-80 box, down the I-80 corridor, and to the Jordanelle Reservoir. RW: Park City has never had a true base village like other ski towns. The Canyons base area will provide an experience for all four seasons, helping to create a year-round destination. WHJ: HAVE THERE BEEN CHANGES ON MAIN STREET, OLD TOWN DUE TO THE RISING PROPERTY PRICES? RW: There have been significant renovations and conversions of existing properties on Main Street. With limited space and an increasing demand, the price of real estate—be it commercial or residential—is on the rise in this area. MW: Old Town still has its charm, and everyone wants to see it. Its location, between the ski resorts of Park City and Deer Valley, is central, and the restaurants and shops continue to draw people to walk and window shop. GM: Old Town will always be a unique part of Summit County and Park City, and the ski-in-skiout nature of Old Town and Deer Valley will always differentiate Park City among resorts worldwide. The Canyons will now have its own unique draw, in that it will mimic other top resort properties in the access provided by the transit system—allowing for easy navigation of the entire base area—and the presence of a convention center. MR: Everyone who comes to Park City on holiday, no matter what time of year, typically visits Old Town at some point during their stay. Today, there are a fair number of thoughtful remodels and new construction projects taking place throughout that Old Town area, alongside upscale dining and shopping venues that continue to reflect historical influences and remind us of our mining heritage. Old Town has and will continue to have charm and history that is hard to recreate. WHJ: HAS THE AFFORDABILITY OF MAIN STREET & OLD TOWN CHANGED? RW: Yes, Main Street has reinvented itself, thus creating a market for higher-end retail spaces and a demand for residential condominiums. The city council has done a great job in allowing for progress while preserving Main Street’s historic charm. GM: Main Street has certainly evolved and become more expensive over time, but Park City is different from every other high-end community in the West in that we will always have product available from $300,000 to $13 million, whereas other resort communities do not generally have that range. Often, in other areas, there’s little product available in the more affordable $500,000 to $700,000 market. Park City will always have a good mix, providing us the potential for tremendous growth for 30 years. MW: Main Street and Old Town real estate is in high demand, and newer projects have sent prices upward. MR: To a certain extent yes, there has been change on Main Street, but prices and affordability across Park City, in general, have changed. I think what’s unique about development in Old Town, specifically, is the combination of new construction layered upon or stemming from historical structures. Development in that area, with those factors, requires special timing and cost considerations to allow for resurrecting the past and preserving the future. WHJ: WHAT ARE SOME OF THE NEW PROJECTS APPROVED FOR THE UPCOMING YEAR OR THE IMMEDIATE FUTURE? MR: In the next year, there will be a fair amount of growth in certain pockets—specifically in the Canyons Village area. A couple of projects that have shown some early successes are Apex and Juniper Landing. Another exciting opportunity I’m currently working on with Replay Resorts, coming to market this winter, is Lift Park City. The project will be located at the epicenter of the revitalized Canyons Village master plan and will be reminiscent of The Little Nell in Aspen, in that it’s located footsteps from shops, restaurants, nightlife, and a vibrant après-ski scene. This will be a true residential, slope-side project. MW: Most of the new projects we’ll see come to life in the near future are in the Canyons Village and the Jordanelle area. This is where most of the development parcels sit—the rest of Park City is essentially built out. GM: There are so many great projects on tap: An 8.58- acre parcel on the edge of White Pine Canyon Road is under contract and zoned for a 400,000-squarefoot, five-star hotel, with construction planned for next summer. Across the street, at White Pine Canyon Village, 30 new townhouses (between 1,800 square feet and 4,000 square feet) will be under construction beginning April 2017. I also just put a hotel site on the market next to the Waldorf for $6.5 million; it can be three-and-a-half stories high and 72,000 square feet, creating a very nice 125-room hotel. Finally, construction is just now beginning at Canyon Residences—3,000- to 4,000-square-foot houses. There’s more, but those are a few of the things that are coming to the market. MR: It seems, across northern Utah—from Park City to Salt Lake City and into Utah County (Orem and Provo)—construction is strong. Unlike many mountain communities, we benefit from being only 30 to 40 minutes from a large pool of contractors who travel daily to Park City for work. This helps keep prices competitive. RW: We’re seeing activity throughout the entire community for the upcoming year. It’s spread from Empire Pass to Jordanelle and the I-80/HWY 40 junction and continues east on Interstate 80. We have a great mix of approved projects, including: Quarry Springs in Pinebrook; Frostwood; Apex, in the Canyons Village; One Empire Pass in Upper Deer Valley; and The Parkite and Sky Silver on Main Street. 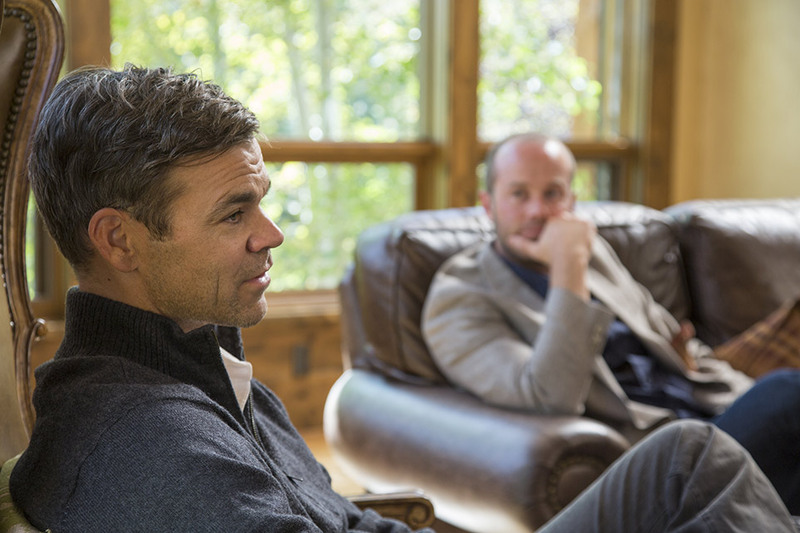 WHJ: WHAT ARE THE FACTORS THAT CONTINUE TO INSPIRE PEOPLE TO INVEST IN REAL ESTATE IN THE PARK CITY AREA? HAVE THOSE FACTORS CHANGED? MR: People want to live up here for the quality of life, clear skies, and small-town feel. At times, inversions in Salt Lake City can lead to poor air quality, driving visitors and second homebuyers within the state to the Park City area. RW: There’s affordable product for $1 to $2 million and below in this area. The core base of the community buys in Park City because of the lifestyle; they can ride the bus safely, get their families outdoors, and be much more fit than many other places around the world. It used to be that winter was the draw, but now it’s the yearround lifestyle. The old adage, “you come for the winter and stay for the summer,” is still true. During the summer, there are at least 10 concerts a week with standing room only, among many other events, and lots of people from Salt Lake City are up here regularly. MR: To me, having lived in Vail, Colorado, through 2002, I am seeing a newer demographic around town, reflecting the association with Vail Resorts. I think it started changing in 2009-10 when the St. Regis and Waldorf hotels opened—both very strong East Coast hotel brands. I also saw a change in buyer and visitor demographic when I worked with the Montage Deer Valley Residences from 2007-13, which at the time was primarily a Southern California hotel brand. MW: Park City is the most accessible ski resort in North America, which continues to factor as a big draw. MR: I agree that the easy access to the area is significant. Public air access is very quick and easy into and out of the Salt Lake City International Airport. In addition, the private side of the Salt Lake City airport is even closer, located near the mountains on the east side. There’s also a private airport in Heber City, about 20 minutes away, though services are limited, and there is no de-icing for jets in the winter. MW: Upon landing at Salt Lake City International Airport, you can be in Park City within 30 minutes. While a lot of people have no idea you can ski the same day you travel, the word is getting out now about how convenient our town is to access. The versatile pass that Vail Resorts has brought to the area is a positive factor for visitors, too. RW: There are nine ski resorts less than an hour’s drive from Salt Lake, which makes the area a hub for skiing. While there are quite a few ski resorts accessible from Denver, too, it can take hours to get to them. We’re definitely a threat to Colorado. MR: Utah powder and the Park City winter lifestyle sells itself, but second homeowners and visitors alike are starting to spend more time here in the summer, as well. Where else can you find 400 miles of trails, pass a moose on your way to coffee, experience progressive dining, catch a wild trout, and play 18 holes on a variety of championship courses—all only a short drive from an international airport? WHJ: HAVE YOU RECOGNIZED AN INCREASE IN BUYERS DESIGNING NEW HOMES AS OPPOSED TO BUYING EXISTING HOMES READY FOR MOVE-IN? MR: There’s a pent-up demand for new ski properties and options. Instead of a dated 25-year-old home at Deer Valley, buyers are looking for modern design and new construction that features the latest in technology and is close to amenities. It’s difficult to take a floor plan from 1985 and make it look, feel, and live like 2017, so building new is appealing to many. RW: It depends on the buyers; primary residence buyers tend to focus on a specific area and will purchase what is available in the location they want and then renovate if necessary. Second homebuyers tend to purchase based on proximity to activities they enjoy. They like new, but they will sacrifice to be near their areas of interest. GM: Buyers are definitely after new product. In our latest projects, if they can get in early enough with the designer to have a say in the home and finishes, they will. MW: Buyers do want new, and they’re willing to pay a premium for it. Most vacation homeowners do not want to deal with a remodel—they want turnkey, new-looking properties. They want to show up and enjoy the outdoors. WHJ: WE’VE NOTICED AN INCREASE IN CONSTRUCTION AROUND KIMBALL JUNCTION. HOW’S THE COMMERCIAL PROPERTY MARKET? MR: Commercial property is interesting. I’ve looked at a couple of parcels with clients in the last six months. Though the opportunities are somewhat limited, they seem to sell quickly if priced properly, even with a lower-than-expected cap rate. MW: People are willing to accept a low cap rate to own a commercial piece in Park City. As an investor, that doesn’t make sense. These buyers must really want to own something here in our ski town. GM: It’s true on Main Street and out by Home Depot and everywhere in between. People like the long-term stability of the assets, and they’ve been buying them for decades. MW: You’re finally seeing the Park City Tech Center come to fruition. Backcountry and Skullcandy are the first two big tenants to enter. RW: The Kimball Junction area is continuing to thrive. They have found the right tenant dispersal, making it a one-stop shop. You have everything you need in one general location, making it a great place for families. This has stabilized the commercial real estate in that area and has created a new demand in surrounding areas. Now that the Kimball Junction area has matured, we’re seeing an expansion of growth not only at the base of Pinebrook (Quarry Village), but over to the east side of Highway 40 near Home Depot. MR: We just had POC Sports move here, which started as a progressive helmet company in Sweden. They believe Park City is worth investing in and are immersing themselves into the area’s culture through the local skiing and biking community, as part of their business initiatives. 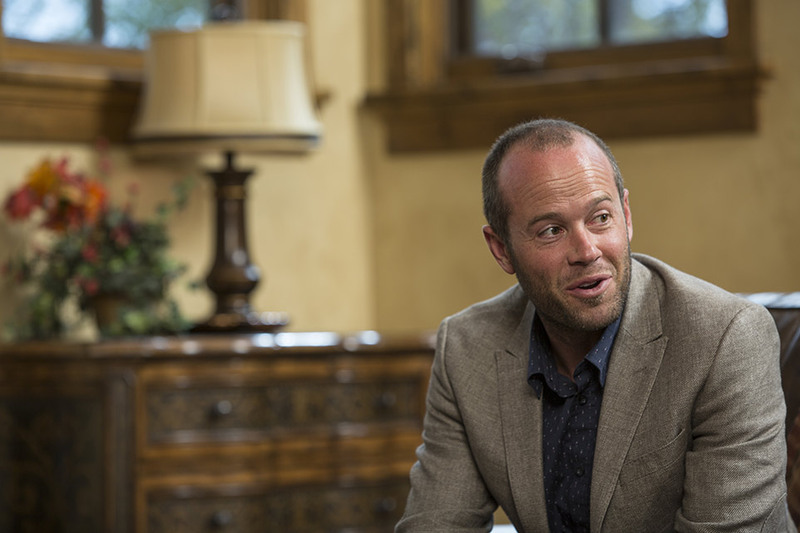 WHJ: HOW IS GROWTH AFFECTING THE PARK CITY COMMUNITY AND BEYOND? RW: The growth in Park City is starting to create some transportation and traffic issues. But with growth comes opportunity. The planning commission has done a great job working on the overall community plan, and we’re seeing controlled, thoughtful growth. But our communities are definitely pushing outside of the city limits. GM: I’ve been around here 26 years, and I hear people mourn “the old Park City,” but that will always be the case as any resort community grows. I bought my first place here when I was 18 years old. Not long after, a Kmart was put in at Kimball Junction, and people freaked out, thinking it would be the end of Park City. This place will constantly re-invent itself as the population grows and diversifies. Traffic will be a main issue to address. There are days when going to Kimball Junction can be backed up to the white barn. We have to stop that from happening. As long as we keep the transportation elements under control so we don’t have gridlock, people will keep coming for the quality of life, clean air, and Utah’s attractive business environment. MR: The growth is spurring the creation of new neighborhoods like Quinn’s Junction, which includes the U.S. Ski and Snowboard Association’s Center of Excellence, medical facilities, trail systems, and quick access to the lakes and mountains. People are moving to these areas and beyond for affordability and lifestyle. Heber and Kamas are also both great options for newer, affordable homes. GM: There will be a new transportation hub at the 7-11, which is being remodeled. It will be accessible for people at The Canyons, which will also have a multi-storied parking structure. Both of these changes will help with parking at The Canyons. RW: With growth, parking has become a premium, but the city continues to work on the public transportation plan and has improved transportation to surrounding areas. 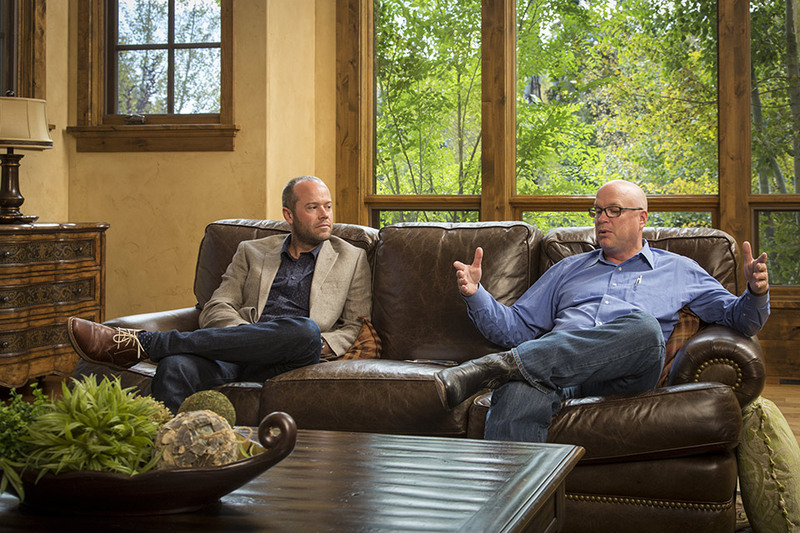 WHJ: HOW IS THE “VAIL EFFECT” IMPACTING THE PARK CITY REAL ESTATE MARKET? 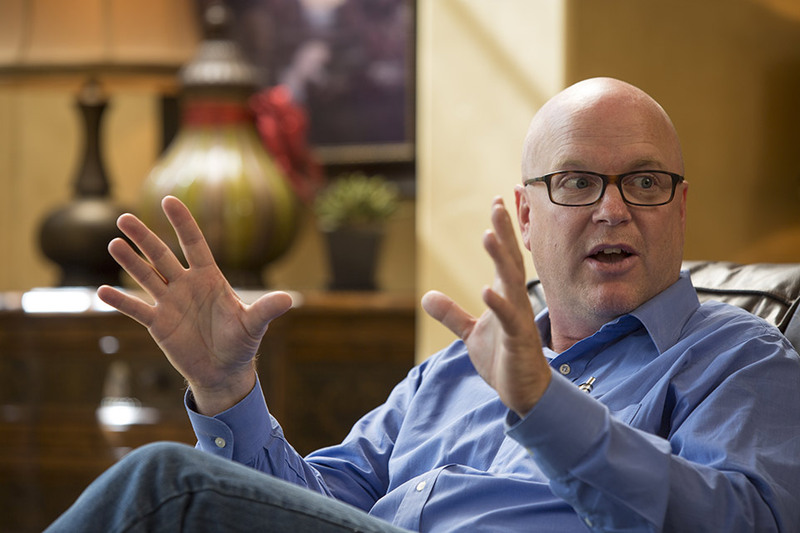 MR: In terms of long-term growth and sustainability in a community, Vail Resorts seems to want to make the right decisions and do the right thing. From a business perspective, it’s been very positive. I look forward to seeing more positive changes in our community in the coming years. GM: There has been so much instability for The Canyons in the past—complete with bankruptcy. Now with Vail Resorts, one of the best ski operators in the world, set to operate both The Canyons and Park City Mountain Resort, we have welcome stability in the Park City market. MW: One of the biggest skier days ever was recorded last year. What does that tell you? That more people are aware of what the area offers—and buying here. RW: I would say values have increased in specific developments. It’s an infusion of capital that’s making the difference. WHJ: WHAT TYPE OF PRODUCT ARE BUYERS LOOKING FOR— MOUNTAIN MODERN OR A TRADITIONALLY-STYLED MOUNTAIN HOME? MR: The term “mountain modern” has become a bit diluted and can mean different things to different people. At the end of the day, buyers seem to be looking for warm, organic materials, thoughtful spaces, lots of light, and views. Add ski access, which can really affect pricing and options. 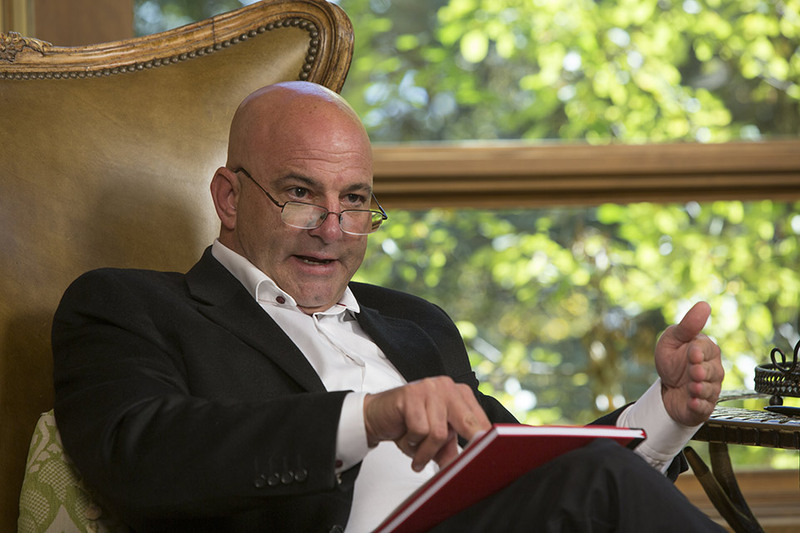 MW: There are still people who want the mountain home. Our latest style is Mountain Modern. Most people are gravitating toward that look and feel. It’s clean with a soft white and grey palette. Everyone is attracted to natural stone and colors—bright and light. RW: Interior design—changes in furniture and color palette— can transform a rustic mountain feel to a more modern and clean-line appeal. It’s more about the décor than structure. GM: A great example of mountain modern as we see it here is the Stein Eriksen Residences—they reflect the architecture and design people want. It’s not rustic; it’s not modern— there’s a lot of glass, but it still looks like a mountain product. WHJ: WHAT ARE SOME THOUGHTS OR PREDICTIONS FOR REAL ESTATE FOR THE 2016-2017 WINTER SEASON IN THE PARK CITY REGION? RW: We will continue to see more growth. For the most part, we’re built out in Park City itself, but we have great opportunities in the areas outside of the city limits. MR: The Park City market remains strong, with a rolling average price bump at 7.2 percent per year since 2012, which can largely be attributed to single-family homes. I sense there’s going to be a segmented surge of growth, especially with the condominium home market. The area has been the focus of the ski and entertainment world for years, having hosted the Olympics and serving as the home base for the Sundance Film Festival, and those connections will remain. And, with the progression of social media and the arrival of Vail Resorts, people are starting to take a closer look at Park City for lifestyle, ease of access, and the Greatest Snow on Earth. It’s no surprise more and more are calling Park City home. MW: You’ve got a destination that is easy to get to, provides an amazing lifestyle, and has seen good, steady growth in the single digits since 2012. Nothing crazy has happened, but I think we will see an influx with some of the new Canyons Village product coming up. We are still lacking a bit of really good product, so when something new hits the market or a turnkey is priced well, they go quickly. Buyers are getting more sensitive to the values. We’re very segmented, which changes from area to area. There’s a little bit of push-back as properties have increased in some areas—especially in the past two years. Everyone is expecting a solid winter because our inventory remains on the lower side, and the demand is still there. The inventory is definitely limited until we see some of these new products enter the market. GM: Silver Creek Village, which will have its own supermarket, coffee shop, and pizza place, will provide an affordable option for those who can’t buy a $1 million home, promising more than 1,300 doors. Park City Heights is another big development coming onto the market, at 239 properties, including affordable units. There’s something to meet everyone’s needs. MR: It will be interesting to see how Silver Creek Village affects these other communities. RW: I think it will be phenomenal because it’s in a central hub, which will help with traffic, making it more desirable for those choosing to buy in the area. GM: There’s affordable housing everywhere outside the school district—in all directions. Kamas can hold about 10,000 more people. When people discover what an extraordinary place Utah is and go beyond the Park City area for homes, they will quickly realize there are a lot of great options.